We create urban destinations that inspire. We are a fully-integrated real estate investment / development studio based in Soho, London. Backed by Brookfield Asset Management, we acquire, develop and / or reposition brownfield / greenfield sites, office reconversions and trading hotels into design-led destinations. Our current trading portfolio spans the United Kingdom and the Netherlands with a development pipeline in Ireland, Portugal and Germany totalling in excess of £800mil. We believe that the modern traveller's needs are not being catered to. Our mission is to deliver unique experiences that meet these needs - with no two properties alike. Central to this mission is the discipline to deliver these experiences within a strict budget and programme and we hold our partners to the same standard. By fusing an unorthodox approach to design with a disciplined development methodology, we aspire to reshape hospitality. Eric is SACO Property Group's Managing Director in addition to Locke's Creative Director. Eric also oversees SPG’s Pan-European / UK development pipeline. Prior to joining SACO, Eric was co-founder and Managing Director of Union Hanover Securities, Urban Villa and HOAX Hostels where he oversaw a £500mil development pipeline and the creation of each respective brand. Andrew overseas SACO’s European / UK acquisitions. Andrew was previously co-founder of Union Hanover Securities and Urban Villa where he directed hotel operations and acquisitions. Andrew also served as acquisitions director at StayCity, where he was responsible for growing StayCity’s footprint during its first 8 years of operations. Merzak Kaddour oversees SPG's funding and investment initiatives. Prior to joining SPG, Merzak was a director at Union Hanover and served as the Director of Hotels & Leisure at Bank of Ireland and the Head of Hospitality and Leisure for National Australia Bank (UK) overseeing a £1.4 billion hospitality loan book. As the group’s Development Director, Charles is responsible for overseeing the development process from due diligence and acquisition to delivery. Charles’ previous positions include Director at Jones Lang LaSalle and Union Hanover Securities in addition to Project Manager at Mace and Currie & Brown. Tom is the Design Director at SPG and has over 15 years of experience in commercial hospitality design, planning, and construction. Tom is responsible for the oversight of the brand’s architectural and interior design initiatives and for the creation and revisions of the Brand Guidelines & Technical Specifications.Tom’s previous roles include Managing Director of Avroko UK and Director of Property Development for Standard International Management. Jacqui oversees the Financial Reporting, Project Reporting and assists with the implementation of the group’s financing initiatives in addition to managing the equity requirements with Brookfield. 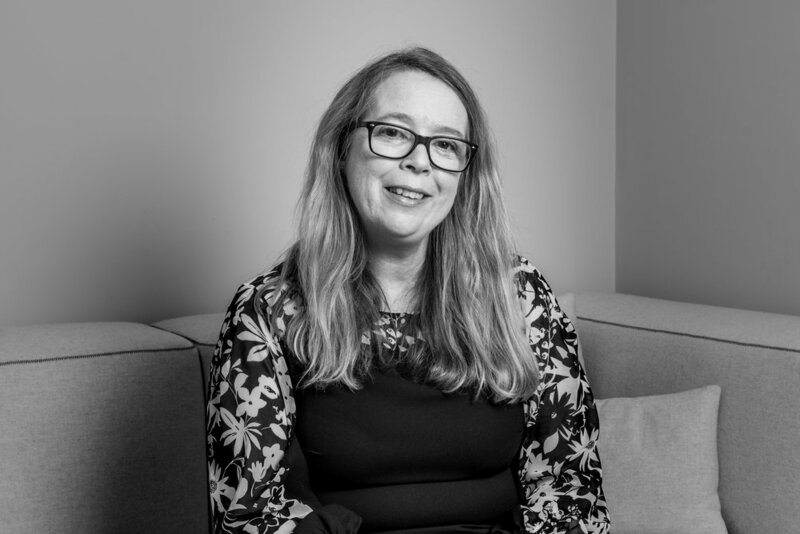 Prior to joining SACO, Jacqui was the Group Finance Director for Beyond Analysis with a role that covered both the Financial and Commercial areas of the business. Maddalena is the General Counsel for SPG. Maddalena is responsible for overseeing all SACO legal matters ranging from corporate structure to tax to property to finance to employment and leases. Maddalena joined us from Taylor Wessing where she worked for the past 17 years. Jason has over 25 years of experience in the construction and investment industry. An accomplished Real Estate Investor and Developer Jason is responsible for for all European projects and strategic growth. Previously at Patron Capital private equity, Jason brings a wealth of knowledge to the table that spans the entire investment and operation spectrum. Phil is a Development Manager at SPG. Phil is responsible for a range of SPG's UK development initiatives ranging from planning to project completion. Prior to joining SPG, Phil served as a Project Manager at JLL and Assistant Project Leader at Heathrow Terminal 5. David joined SPG in 2018 as a Development Manager working on our Tower Bridge Road site. Jaime is a Development Manager at SPG responsible for the successful delivery of new development schemes into the SPG portfolio. Prior to joining SPG, Jaime served as a Project Management Consultant at Rise, Procore and Renaclass. Maxime joined SPG in 2018 as Acquisition Executive and is responsible for Asset Acquisition and analysis across France, Portugal, Spain, Italy, Greece, Switzerland and Belgium. Maxime previously served as an Investment Sales Associate at JLL Hotels & Hospitality for 4 years, and as an Office Leasing Broker at JLL Paris for 3 years. He is graduated from Paris II Panthéon Assas University with a Business Law degree and from Paris Dauphine University with a MSc in General Policy and Strategy of Organizations. Hannah joined SACO from Knight Frank in 2017 and was promoted to Acquisitions Associate in January 2018. She is responsible for Business Development and Asset Acquisition in the United Kingdom. Before her career in property Hannah was a successful Musical Theatre actress in London’s West End, performing much sought-after roles such as Eva Peron in Andrew Lloyd Webber’s ‘Evita’. James joined SACO as an Analyst for the Development team in February 2016. He graduated from Oxford Brookes in 2014 with a degree in Economics, Finance and International Business. Following his degree he gained experience in M&A at Serco, Corporate Strategy at Time Inc. UK, Analytics at DragonGate, and most recently began studying for CIMA. Robert joined SPG in 2014 as an Investment Analyst. Robert’s responsibilities include underwriting prospective acquisitions and supporting the Investment Director in SPG’s funding and investment initiatives. Robert is a CFA Charterholder and graduated from Bristol University with an Economics degree in 2014. Marie-Julie joined SPG as an Investment Analyst in 2018 supporting the Investment Director. She graduated from Cass Business School in 2017 with a MsC in Real Estate Investment and a degree in Economics & Finance at European Business School with exchanges in Paris & Madrid. Following her degree, she gained experience in Capital Markets and Capital Advisory in CBRE London, New York & Brussels, and JLL in London. Deep is responsible for the all round financial management of SPG's active developments while being the conduit between both financial and non-financial stakeholder's requirements. Prior to joining SPG, Deep relocated from Australia where he worked in multiple finance roles for Brookfield and as a Commercial Business Partner for Dexus Property Group across a range of property asset classes. Asanga is an accomplished accounting professional, with extensive experience in financial and management accounting. Skills have been gained working in retail, financial services, telecom and manufacturing industries. Darrell joined SPG in 2018 as a Financial Accountant. Having gained experience at Blackstone, Darrell’s role is to support the Finance Managers. Megan joined SPG in 2017 as Executive Assistant to Eric Jafari. Having gained administrative skills working in financial services as an Investment Assistant, Megan oversees the team's travel arrangements and diary management as well as organizing team and networking events. Maisie joined SPG in 2018 as the team’s Admin Assistant and Office Manager. Maisie supports Megan with scheduling and correspondence and overseas the day-day running of the office.